Diagnosing issues such as misfire codes on modern OBDII vehicles has grown more complex and difficult. Using vacuum waveforms is the quickest testing procedure to determine if a problem is mechanical. AVI can help you save time by showing you how to obtain the patterns, what to look for, what vacuum readings tell you and more. 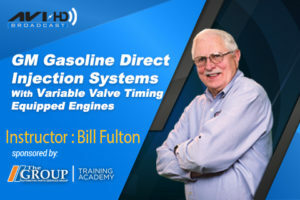 This program with Bill Fulton explains what peak vacuum is and how to use peak vacuum and vacuum transducers for diagnostics. He explains how to compare cylinder bank to cylinder bank using vacuum waveforms and how to do cylinder leak down tests correctly. 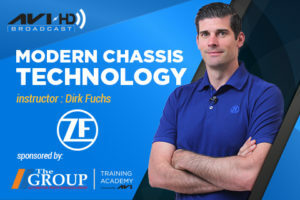 Bill also provides tips on the four “MUST KNOWS” for cranking compression tests and tips on compression testing with your scope. 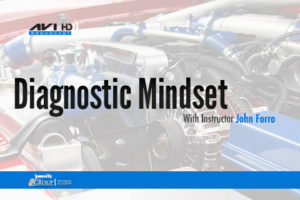 Why waste valuable shop time when you can cut your diagnostic time in half using vacuum waveforms to diagnose misfire codes. 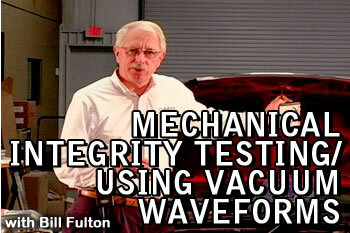 This class will provide the information you need to use vacuum waveforms as a testing procedure.